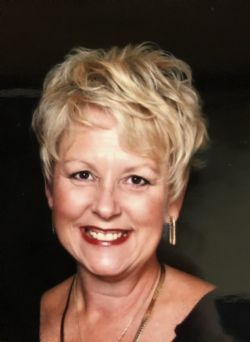 Bettie Green Geroff, 63, of Price Place, Arkansas, near Pontiac, died Jan. 26, 2019, at Baxter Regional Medical Center in Mountain Home Arkansas. She was born Aug. 20, 1955, in Gainesville, the daughter of Clifford and Norma Green. She graduated from Gainesville High School in 1973 and worked in banking for several years afterward, including managing a bank in the St. Louis area. On Aug. 26, 1987, she married Dr. Chris Geroff in Granite City, Illinois. In 1990, the Geroffs moved back to the Ozarks, settling in what is now Price Place, Arkansas, south of Pontiac. Dr. Geroff set up a dental office in Gainesville, MO and Mrs. Geroff helped him in the practice while also enjoying her life as a homemaker and mother to their young daughter, Valerie. She loved canning and cooking, and she especially enjoyed cooking for large gatherings. While Valerie attended the University of Missouri, the Geroffs hosted a tailgate party for her sorority, Phi Mu, before each football game. Mrs. Geroff became well-known for her homemade mac and cheese, baked beans, pulled chicken and pulled pork and Kahlua brownies. She also enjoyed gardening and growing things, indoors and out. In 2009, she was featured twice in the Ozark County Times, once for in a story about an angel trumpet plant that she had coaxed into blooming after having been apparently dormant for four years, and a second time in the Times' annual cookbook, where she was pictured with her popular Greek canned peppers. Mrs. Geroff loved to travel and especially enjoyed spending time near the ocean. The Geroffs made several trips to the Caribbean, spending time in the Bahamas and Trinidad Tobago. From 2013 to 2015, Mrs. Geroff divided her time between their home here and her daughter's home in Destin, Florida. She is survived by her husband, Dr. Chris Geroff; her daughter Valerie Geroff of St. Louis; one sister, Barbara Green Stevens and husband David of Gainesville; nephews Paul Stevens and wife Jamie of Orlando, Florida, and Ryan Stevens and wife Amy of Springfield; a niece, Sarah Guidorzi and husband Michael of Fenton, and the Guidorzis' two sons, Douglas and Drew. She was preceded in death by parents. Visitation will be held Friday, February 01, 2019, at Saint Thomas Orthodox Church in Mountain Home from 12-1 PM with funeral service following at 1 PM. Interment will be at Lily Ridge Cemetery in Gainesville, Missouri.